Disaster recovery (DR) is a subset of your business continuity planning and consists of specific steps an organisation must take to restore particular functions (i.e. IT systems and operations) as effectively as possible to minimise business downtime after a disaster. NetSupport offers a complete DR solution to businesses in the East Anglia region. We work with you to put a plan in place that can be deployed in the event of a partial or a total outage – helping you recover from IT infrastructure failure to loss of office location. As with any office premises, we take the security of both our facilities and our guests seriously. The NetSupport site is fitted with the latest security systems, both internally and externally. Security shuttered ground floor windows. 350L internal tanks plus 1500L reserve tanks guaranteeing a minimum 12 days of run time before replenishment. Every business needs a robust DR strategy to make sure it can get up and running again as soon as possible. The key to this is to have a back-up system that’s both secure and easily accessible when you need to recover the data. At NetSupport, you can use rack space from 2U – 42U with 24/7 access. Servers are backed up, enabling them to be restored and recovered if an adverse event occurs. This means no matter when disaster strikes, all your business data is protected. 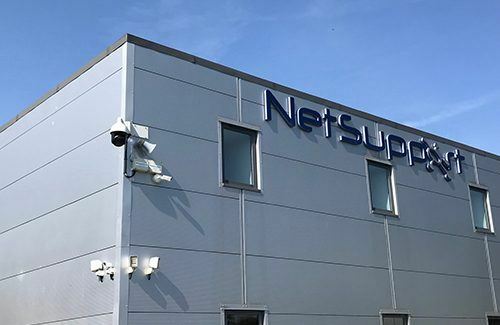 NetSupport’s vault protects against fire and flood, so we can hold your data back-up tapes/disks in a secure environment protected by CCTV, alarms, secure entry systems and guards. Site access is available by appointment before, during or after an invocation. Customers are then able to move their key staff into our centre and continue their daily operations with the minimum of disruption whilst their own premises or systems are being restored. 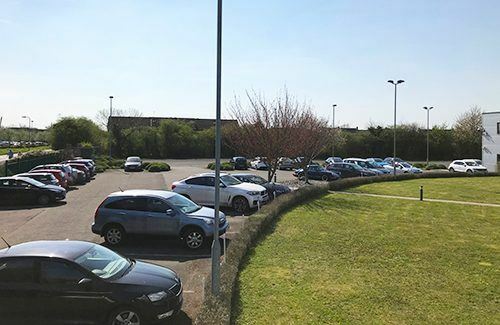 Car parking for customers is provided in three dedicated, secure parking areas serving each of our main Continuity Suites. We offer capacity for over 200 cars, as well as supporting vehicles such as coaches/mobile recovery units. Learn more about our site facilities.